Surviving Christmas is not easy, in fact it could be termed an art form. The expense, the chores, the shopping, family, parties, and emotional pressure to be happy can take its toll on the hardiest of people. Nevertheless, all is not lost. There are a few things we can do to reduce tension over the festive season. Family commitments; likes and dislikes, who to visit over Christmas etc. Lack of time for preparing, shopping, cleaning, decorating, writing cards, present wrapping, socialising etc. Socialising especially at work – for example the office party. The emotional and physical strain. Let's take each category in turn and see how we can think, plan and reduce each of them into manageable parts. You can of course work your way through these in any order and adapt them to suit your personal needs. In addition, you can also add your own categories and work through them in a similar way to the others. We all complain about the fact that there are never enough hours in the day. This is especially true at Christmas time. However, we can reduce the time we spend on certain tasks by making a personal plan of the things you have to do. This does not need to be anything fancy, a simple piece of paper or notebook will do. Day & date in the first. Task to be completed in column two. The third column could be used for the date the task should be completed by or a suitable date to work on the task - example Christmas shopping; write and post Christmas cards and so on. The fourth column should be used to tick off each item as it is completed and for any additional notes you need to make. Last date for posting Christmas cards is or will need one vegetarian meal for Christmas dinner. In addition remember to put in the dates of events that might be happening that you will attend, such as ‘school play on 15th’, office party, 21st and so on. 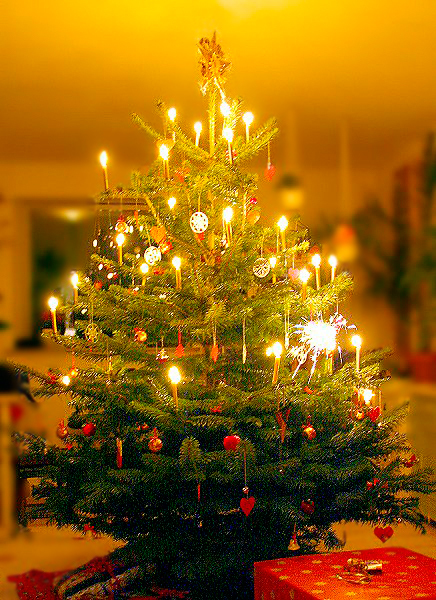 Choosing a Christmas tree will not need nearly as much time as choosing gifts. So get each task into perspective. Timing - when working out your planner place each task in a natural order. For example, buying in your Christmas Day food should be near the end of your schedule. Whereas writing out Christmas cards would be at the beginning. Lastly try not to cram too much into a short space of time. If you start your planner as near to the beginning of December as possible, you will have time to get all your tasks in at a pace that suits you. This is one of the major factors to make Christmas a nightmare rather than an enjoyable season. So how do we reduce this factor into a manageable part of Christmas? The best thing to do is to adhere to a budget that is realistic for you. This means only buying within your means and not what other people think you should buy. If you are honest with people and say that you are on a budget for this Christmas, most people will accept that. In fact some might even be jealous of your sensible approach. One to thing to avoid when Christmas shopping either for gifts or Christmas food is to avoid impulse buying. We have all done it. We’ve spied something really nice, really cute and expensive, but what the heck, it's Christmas, only to regret the purchase later. When you have this impulse don't act on it immediately. Wait patiently for 30 minutes. During this time think about all the reasons for not buying this 'must have' item. The impulse will pass, just give it time. If you find yourself struggling over all to keep within your set budget, remind yourself of your budget aims. Be positive and tell yourself that Christmas will be more pleasant knowing you haven't chalked up a pile of debt. Lastly, it is well worth starting to plan for the next Christmas early on in the year. By this I mean start a small savings account especially for Christmas. Alternatively, put money into a shopping voucher scheme – it’s amazing how quickly these savers build up into nice amounts of money. There is an old belief that weddings and funerals cause the most arguments and fights within families. I would add a third – Christmas! It always fascinates me the capacity some people have for ruining everyone's Christmas due to their selfish, childish behaviour. You know the kind of thing - the mother-in-law who doesn’t talk to you for months because she received her invitation to Christmas dinner after everyone else. If you feel you are going to have difficulties with in-laws on Christmas day then plan ahead. 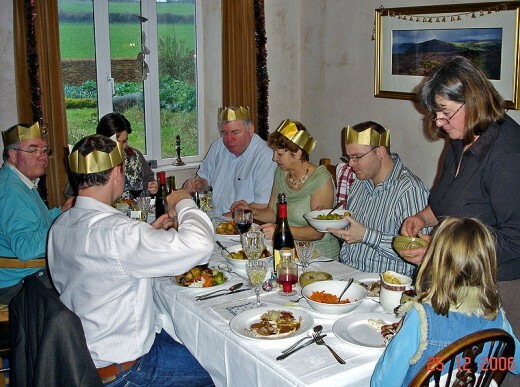 Arrange your table so that family members who dislike each other are furthest apart. Include everyone in the arrangements by delegating small tasks or ask them to bring small items to the Christmas meal to add the finishing touches - you can butter them up as much as you like when asking this. If it makes Christmas 'merry' it's worth it. Delegating is also a good idea for two other reasons. You can delegate small tasks to bored, hungry kids who will otherwise get on everyone's nerves. Delegation also means that you can conserve your energy (and patience) to focus on the major tasks. If you are invited out to Christmas dinner by both sets of in-laws what do you do? The best policy is to be upfront and honest with your relatives. Talk with both sets of in-laws to say that you have a problem of two invites and you are going to have to choose one or the other. Make it clear that you don’t want to hurt anyone’s feelings but a decision has to be made and can they think of any solutions? You could suggest that you visit one set of in-laws on Christmas Day and the other on Boxing Day and swap the following year – or if you’re brave enough invite both sets to your home the following Christmas. People are often tempted to invite the in-laws who will make the biggest noise if you don't visit them. They believe this will calm the waters. Personally I would invite the most reasonable of the in-laws. The reason being, bullying in-laws always have something to complain about at any time of the year. Therefore, they’re highly unlikely to stop bitching just because it’s Christmas.Go for the nice in-laws and have a real Merry Christmas. If both sets of in-laws are horrors then don't accept either. Have a nice quiet Christmas on your own with your partner and let the in-laws stew in their own chestnut sauce. If you are fortunate to have charming in-laws from both sides then you don't need any advice. They will be so nice about it that you will have your problem solved for you. Very stressful and I'm glad when it's over. Stressful, but I do manage. It can be a bit stressful at times. I don't get stressed over Christmas. What Does The Festive Season Mean To You Today? Another stressor for many people is the obligations and socialising that we may be expected to participate in over the Christmas season. The rule of thumb should be attending the events you feel you would most enjoy and refusing the rest. In addition if you are one of those home-loving people who enjoy a lovely quiet Christmas without the parties, then this is okay. Socialising during Christmas can be a nightmare for many people who just don’t enjoy it. You have the right to say 'yes' or 'no' to any invites you receive. Don't be pressured into the wrong decision because of emotional blackmail such as “oh come on its Christmas”, “it's only once a year”, “party pooper”; and so on. Ignore them and do what you feel comfortable with. Firstly, beware of your tone - don't be aggressive but neither should you be apologetic. Use a polite but firm tone of voice. Keep an upright stance and good eye contact. The simplest way to say 'no' is just to say 'no' or 'no thank you. However, most of us do feel the need to say a little more. The easiest phrase to remember when saying 'no' is: "I'm not available for that date" or "My schedule is full for that time". Remember you do not need to give an explanation to anyone about why you are not available. But if you feel really pressured simply state that: "I have made other commitments". At this point change the subject or walk away. If you really feel uncomfortable saying 'no' to a particular person such as your boss, then it's okay to say something along the lines of: "can I think about this and I'll get back to you?" Don't rely on them forgetting. But what this response does give you is a little time to compose yourself and prepare an answer for your boss. As mentioned previously. Beware of the 'emotional blackmailers' and 'hecklers'. They will repeat and repeat a request and give you every reason on the planet why you should attend. Keep patient. Firmly and politely re-affirm your answer. If you have to, politely excuse yourself and go to the nearest loo or exit for a reprieve. Saying 'no' is not as difficult as you may think. Remember that it is the social invite you're rejecting not the person. Bear in mind also that the festive season is a long one. So many Christmases are ruined simply because we have burn out before the big day dawns. Sure there are people who seem to be able to go to every event under the sun and still look and feel a million dollars. That's great for them but not for the majority of us. Added to this, it is not compulsory to have a permanent grin on your face just because it's Christmas - just be yourself, it is much less stressful. I hope this article has been of some help in making your Christmas less of an ordeal. The festive season should be a time of joy and happiness for all of us. Who would love to have a burning turkey in the oven. Who have never had manic kids tripping over the dog and knocking over the Christmas tree. Who would give anything to be in my shoes. This is more than enough to shake off my groaning and make me truly thankful that I have so many wonderful things to grump about. Frank it's always a pleasure to have you visit my hubs and a real bonus if you have enjoyed them! Thank you! Lovely to hear from you and glad that you enjoyed the hub. In-laws can be the biggest pain in the back-side at any time of the year, never mind Christmas. But as I've got a bit older - and maybe more crabby LOL! - I really put my foot down and refuse to share my Christmas with moaners, bitchers and bullies. Sometime folks have to put up with this crap all year round, but on Christmas Day, people have a right to enjoy this time with those they love and to relax as much as possible. It is sad for both you and your daughter. I know that the first Christmas I had without my Mum was quite difficult. Even now, at Christams and New Year your memories do tend to be stronger about the times we shared at the festive season. But the pain does lessen and you do begin to enjoy these special times with the rest of the family, even although your thoughts are never far away from those who have gone. Many thanks again for your visit and for the vote up - it is greatly appreciated!! Take care! You said that just right I especially agree with the comments on the in-laws and the stress. Trying to include people who have no sense of co-operation in the holiday activities is stressful to say the least.It even ruins it all for the family members who come to enjoy and participate fully. Don't know why we keep trying to do that. I'm sad to know that I will put my daughter under more stress as she thinks about our annual party at her place this year.It will be our first Christmas without our husband and father. Thanks for sharing.The pictures are lovely too. voted you up and interesting. Many thanks for the visit. No worries about reading your hubs - they're fascinating!! Hi Stacie, I think for many this is the case especially those who have kids and/or large families. I love the get together with my immediate family at this time, but I honestly wouldn't get that upset if it all stopped tomorrow - party pooper that I am! LOL! I certainly don't do the Christmas Nights out anymore from work - they are a boring expense that I'm quite happy to forget - party pooper or not! Great to hear from you again I always enjoy your comments. Lovely to hear from you. I couldn't agree more with your outlook on Christmas. I was sayiny to Moonlake a little earlier that I keep the bitching and moaning in-laws away at Christmas. I get together with my immediate family - my Dad, my sisters and their kids - and that's it! We take the time to share this time of year together and I think, for us at any rate, it is a meaningful time of the year. I definitely agree with you - I think, what should be such a special time of year, has been lost in the greed and stupidity of consumerism. Christmas can be a stressful time for people, especially this year when so many are having financial problems. I think that we need to try and keep things simple and more meaningful. Isn't it sad that the time of year that we should be relaxing and enjoying our time with friends and family is often the most stressful of the year? A few years ago I made a decision that if I wasn't working over Christmas, then I wasn't going to let bitching, bickering in-laws spoil my time with my own family. They didn't like it, but too bad! The relief of just having my home to myself was awesome! Yes I put the last photo in for a reminder to myself that when I start to grump about Christmas looming up again, I can reflect on all the wonderful things I have in my life that some poor souls will never have a chance to get. And as you rightly say, this year will be so much harder for so many. Our house is small now so we no longer have all the relatives over just out kids. It's not as stressful as it use to be but the money part is always a stress. Last picture is such a sad thing and even more are suffering this year. To be honest I would be quite happy to go into hibernation over the festive season. But I do like to see the kids and the family getting together is always great. But as for the rest?????LOL!! But glad that you enjoyed the hub and many thanks for stopping by. Many thanks for stopping by and for your wonderful comment. I have to agree with you about the 'in-laws' - I think they were only created to spoil Christmas for everyone. Really glad you enjoyed and it was lovely to hear from you. This is absolutely hilarious and informational as well! I totally loved it ! when i was married i couldn't stand doing the in -law thing ! omg ! lmao! I voted this up funny and awesome! thank you for sharing ..amazing write! Thanks for stopping by another hub - Christmas is a pain! But hopefully some of the information will make it less so for many of us. Christmas stress, every year, never fails--this article is very helpful and I am going to put it to good use when the time comes around again. Thanks for the great hub. Thank you for sharing this. 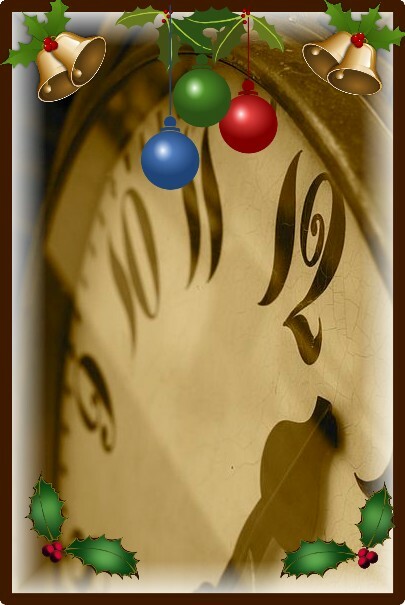 I wish you and your family a lovely Christmas and all the best for 2011. Christy Zutautas - thank you for such a lovely comment, really makes the work worthwhile and more enjoyable. I have had a quick glance at some of your work - will get a more relaxed look once I settle the dogs down and get finished wrapping presents. You're writing is so energetic, fresh and draws the reader in - wonderful. I did try my hand at short story writing and poetry, many years ago now, basically I was rubbish at it! But I really admire authors who can write these forms as well as other types of writing. Thanks once again for your comment and for stopping by. What a fantastic hub! I loved the part about picking the nicest in laws, I think many people pick the mean ones to avoid conflict...and why ruin your day. I love your writing style and I'm off to follow you and read more of your hubs! Hi K. Burns Darling - I agree with you absolutely. Last year brought it home to me just how important family is and how unimportant material things are. Thanks for stopping by. Just Ask Susan - Hi there - I don't mind a bit. This is one of the things I really like about Hub Pages. And basically I'm here because I enjoy it. Thanks for stopping buy. Very good Hub! I just wrote something you may want to look at and I think I will link it to yours hope you don't mind. Merry Christmas. We all seem to get so caught up, that we forget that the holidays are truly about being together with our family and loved ones. Thank you for a lovely reminder. Thanks for taking the time to stop by and give such a nice comment. I do appreciate how much you must have to cut back at Christmas. I was made redundant from my job before last Christmas and really had to cancel just about everything - but surprisingly it was one of the best Christmas days I ever had. Just me, my family and the dogs, a nice meal and we managed a few pressies - it was heavenly. Money--agreed. We are on a fixed income, no longer even have credit cards. I don't feel the season is about gifts--it is about enjoying each other and being grateful for having family, as you point out in your retrospective. My family (which includes young grandkids) has been put on notice: "If I can't make it, you're not getting it." I just can't afford shopping when we can't even keep current on our utility bills. I no longer mail cards--I send an e-mail newsletter to those with whom I'm not in touch the rest of the year. Everyone else is already current on where we are, so I save the postage. A lot of people are going this route as postage costs continue to escalate. We host an annual holiday party--2 weeks before--and it's a pot luck! Thanks for an excellent hub. I'm going to share this one. Voted up! Thanks for taking the time to make such a nice comment. It makes it all worth while. I figure with in-laws that it's better to try and laugh about them rather than let them get you down. Many thanks again!!! Witty and very practical. I love the part about skipping both sets of in-laws!